12. Tu Dors Nicole. I confess, I only saw this film for the first time yesterday, and while it is possible I am merely succumbing to the immediate post-glow sensation presently overwhelming me, I having been watching movies for so long and seen so many of them that I feel confident in sticking to my mantra: you know when you know. 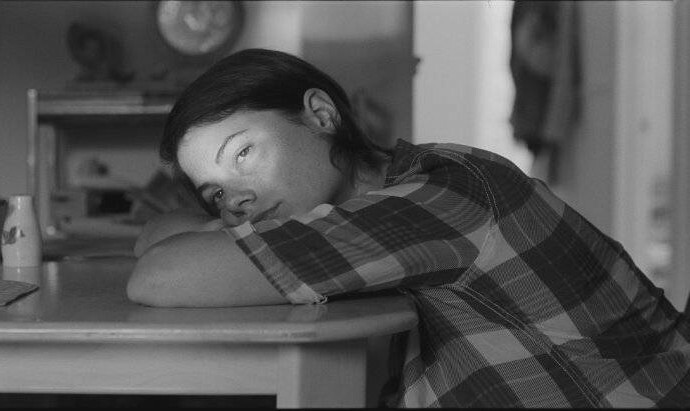 And I know that while the recounting of the thin line between adolescence’s denouement and adulthood’s onset is nothing new, Stéphane Lafleur’s French-Canadian rendering of it in “Tu Dors Nicole” is everything nonetheless. So I will place it at #12 while also leaving myself the right to revise my list later. 11. 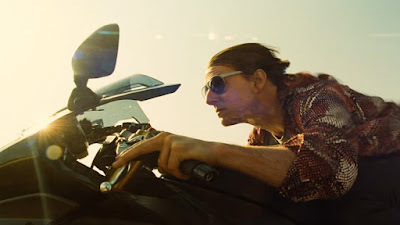 Mission: Impossible - Rogue Nation. Less pulse-pounding than grin-urging on account of its joyously constant “Can You Believe This?” bravado, Christopher McQuarrie’s crack at the venerable franchise is meta and escapist. 10. The Kindergarten Teacher. A slow burning, disturbing Israeli thriller in which, improbably, wondrously, the creative arts takes the place of the genre’s usual drugs, guns and money. 9. Buzzard. A more apocalyptic, idiosyncratic “Office Space” in which its selfish, unwittingly desperate character does not fall under a comforting spell but descends into a working-class nightmare from which he will never wake. 8. Uncertain Terms. 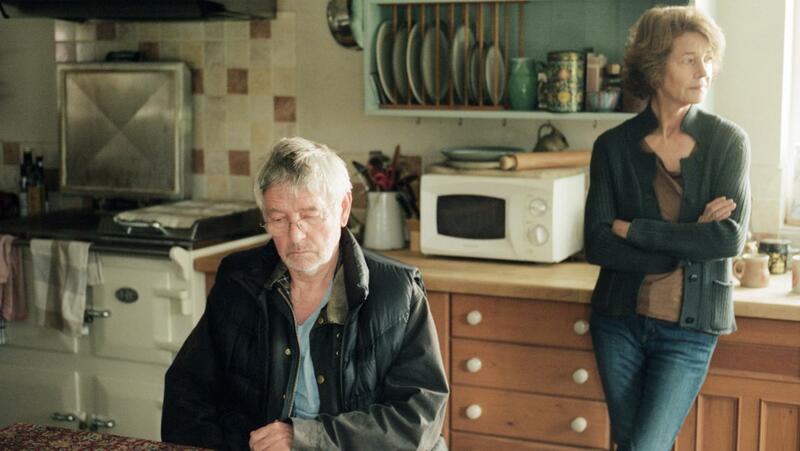 A fantasy of a life that could be but won’t be and isn’t conveyed not through magic realism but a low budget, improvisatory, everyday aesthetic, Nathan Silver’s “Uncertain Terms” is set at the point between the death of a dream and the acknowledgement that the dream is dead. 7. Mad Max: Fury Road. 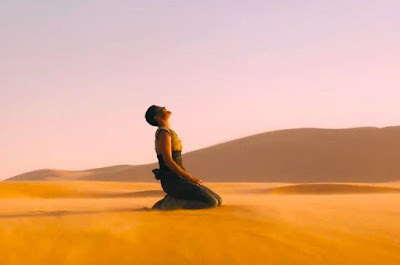 Director George Miller’s narrative is as spare and ferocious as lead actress Charlize Theron’s performance, essentially a gonzo chase movie that in its dynamical action set pieces still finds the time to incorporate a fiercely effective pro-feminist message. 6. Tangerine. 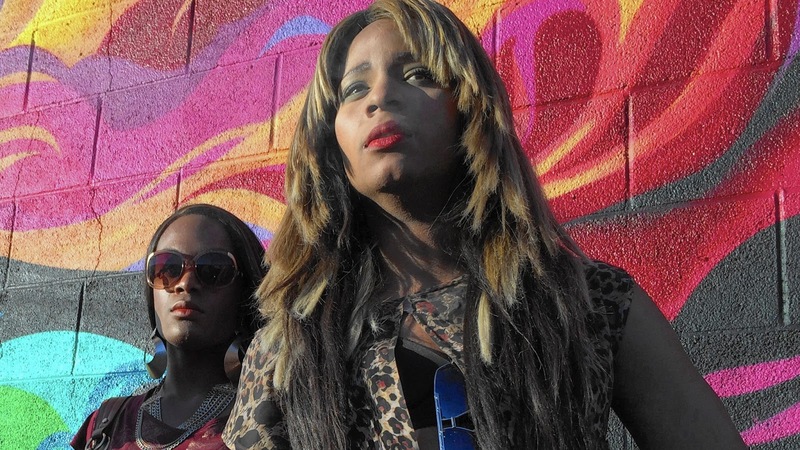 If iPhones, on which “Tangerine” was shot* (*legally obligated per Apple to mention), have re-defined connection in the modern world than Sean Baker’s marvelous street-level screwball comedy is all about connections - maintaining, forging, losing, and screwing them up. 5. 45 Years. If the passage of time seems finite, an inexorable march from beginning to end, every past event being a necessary stepping stone to the present, Andrew Haigh’s remarkable (mostly) two-hander tears that theory to shreds by demonstrating how our past selves forever lurk over our shoulders and how our present selves still have no clue how to square with the past except to try and shove it out of sight where it will always - always - re-emerge, the only specter that actually exists in the ghost story of our lives. 4. Blackhat. 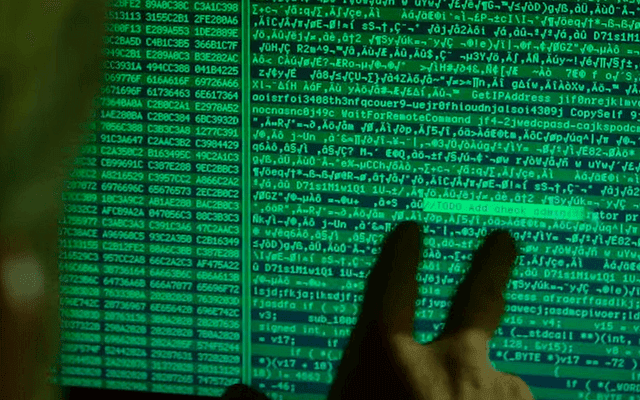 Michael Mann uses cyber-hacking and consequent impending global catastrophe as his jumping off point to explore a disconnect between the tangible and the computer coded abstract in a thriller that alternately and purposely feels hollow and spinning in circles around warm blood. 3. 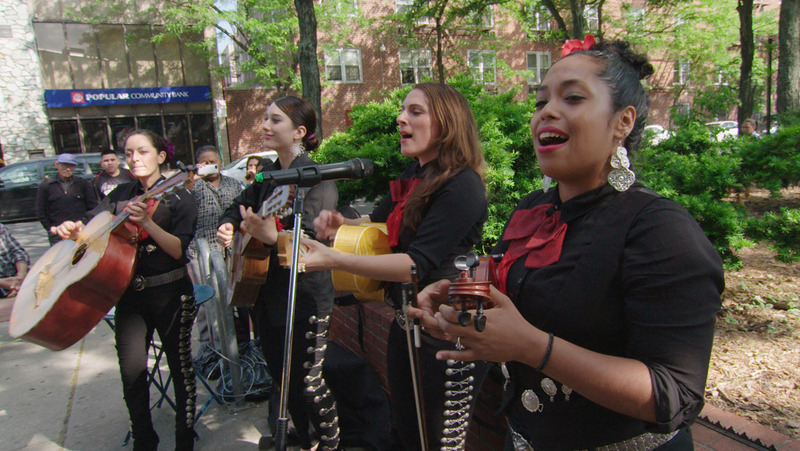 In Jackson Heights. Frederick Wiseman’s three-hour plus documentary of this neighborhood in Queens, New York feels delightfully, emotionally intimate moment to moment and scene to scene as he encapsulates people of all color and creeds and their respective day to day grinds even as he subtly pulls back and leaves you with a bigger picture not just of this single community but of a nation built on these kinds of communities. 2. Sicario. Toweringly intense, “Sicario” barely lets you breathe as it relentlessly unfolds, its tightly controlled direction from Denis Villeneuve contrasting beautifully with the utterly un-controllable nature of the endless drug war it captures. 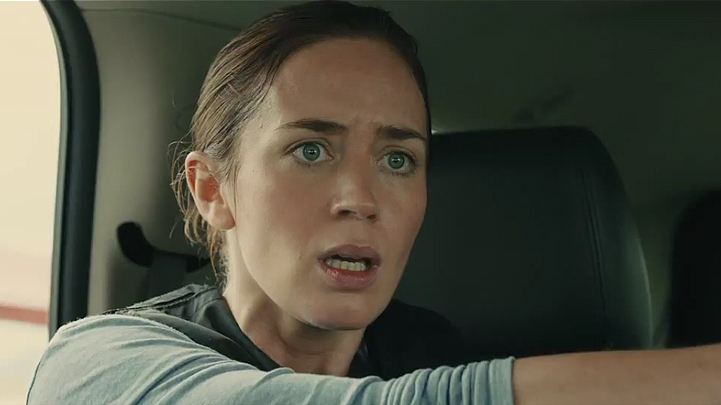 Emily Blunt’s virtually omnipresent “WTF?” expression replaces “Just Say No” as the War on Drugs’ slogan. 1. Mistress America. Beg your pardon, but I’m simply going to offer the blurb I wrote on this film’s behalf for Slant Magazine because I worked really, really hard on it because I absolutely cherish this movie and wanted to get it just right... “Mistress America” suggests a screwball version of “The Great Gatsby” in so much as Noah Baumbach's verbally witty, visually nimble, and robustly edited tour de force focuses on a self-invented socialite, Brooke Cardenas (Greta Gerwig). Prone toward self-regarding romanticizing rather than self-actualizing, she's seen here through the eyes of Tracy (Lola Kirke), her future sister-in-law and aspiring writer, whom Brooke essentially adopts as her understudy to the manifestation of the American dream. That ideal is one Baumbach gleefully deconstructs, exhibiting its illusory nature in the willful fantasies of Brooke even as the film’s multitudinous moments of joy render the dubious myth irresistible. 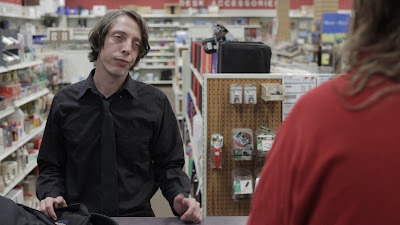 It's a paradox that Baumbach and Gerwig, who co-wrote the script, are content to serve as the film's ultimate truth, one embodied in Gerwig's incredible livewire performance. If her character is often unlikable, Gerwig herself is not, employing a fount of bullish charisma that barrels past its foundation of lies to make us believe, as she does, and against all the odds, that some orgiastic future still beckons. As caustic as she is charming as she is clueless, Gerwig earns the title of Mistress America. Nice job. I still have a lot more to see from your list, but I can't argue with any list that actually gives Blackhat its due. Still one of my favorites from 2015. I can't get on board the Blackhat-is-underrated train. It was simply a disappointment, made all the more frustrating by the handful of great moments it contained which only underlined how half-assed the rest of the movie was. Because of our divergent opinions on Mistress America, I was worried our lists would have nothing in common, but in fact I will tell you that we share two of the same top ten. This is the time of year I love seeing where other trusted film compatriots agree with me ... and remind myself to downplay the ways we disagree, as they only make us more interesting. I thought I was going to be the only person to mention Blackhat in your comments, but I know see that's well-worn territory. It's not in my top ten but I was surprised by how much I liked this movie (especially given how it flopped), so I'm glad to see you bestow some love on it. Regret that I won't be able to catch In Jackson Heights before my own ranking deadline next week, but as they say, them's the breaks. One of the posts I look forward to reading most every year, and you did not disappoint. Or 45 Years. I also won't be able to see 45 Years. Which does not come out here until February. Grrr. Thank you all, gentlemen, for your comments. When it comes to "Blackhat", I will say that while I don't necessarily consider myself In The Tank for Michael Mann, considering a couple of his films I have seen as disappointments, there still many particulars of Mann that will forever work like gangbusters for me and those are ALL OVER "Blackhat." And so I can see why some might respond to it more strongly than others. Great stuff here man. 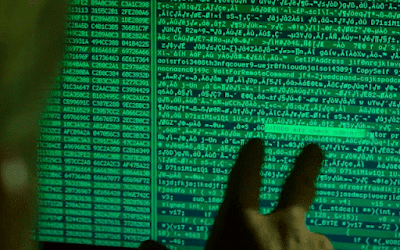 I love that In Jackson Heights and Blackhat made your list. Two films from 2015 that I really enjoyed, but deserve to be discussed more.